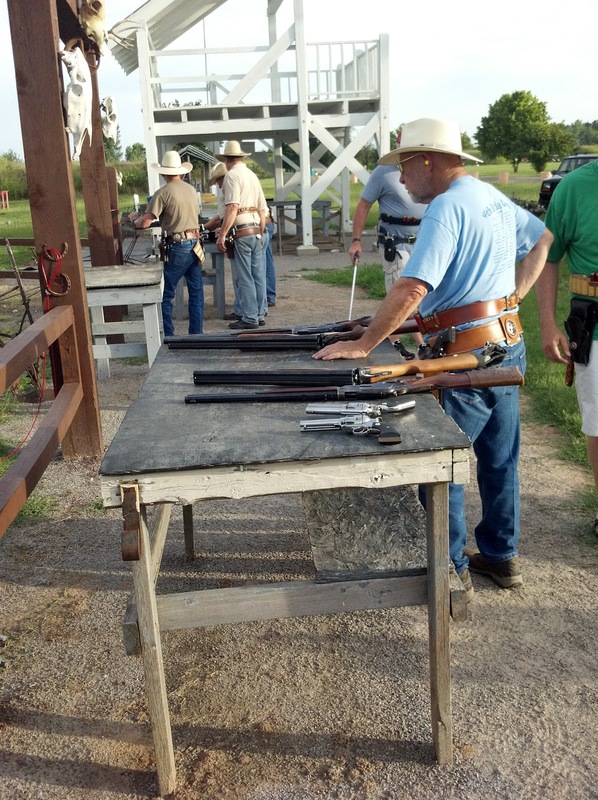 A few weeks ago Judge Parker’s Marshal’s at the Old Fort Gun Club in Fort Smith, Arkansas, issued an open invitation for anyone who wanted to try Cowboy Action Shooting to come out to their Tuesday night practices. Their invitation included the use of their guns and ammunition. I jumped at the chance to go shoot with them. The first person I ran into was Bill Striplin. Bill then introduced me to Bob. Bob turned out to be Bob "Naildriver" Gleason whom I had met several years ago when I was first got interested in Cowboy Action Shooting. 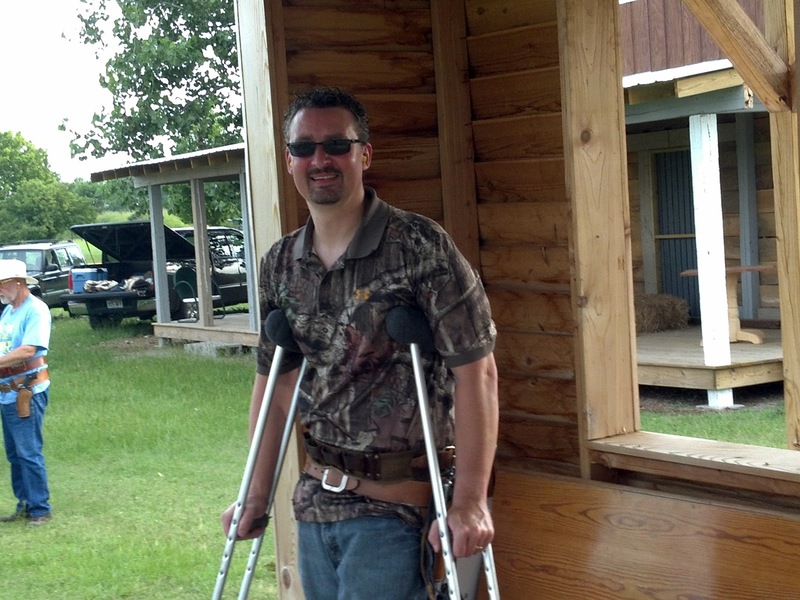 Naildriver competes in national cowboy shooting and is very good at it. Naildriver took me off to the side and went through the range and shooting safety rules with me then dug out the guns and holster rigs that I used. 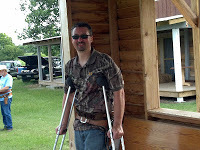 He outfitted me with 2 Ruger Vaquero Bisley revolvers and a Marlin lever action. 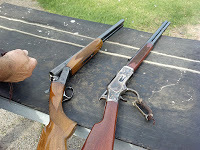 All 3 guns are chambered in .357 Magnum, but we shot light .38 Special loads which made shooting easier. Last was a 12 gauge Stoger hammerless coach gun. 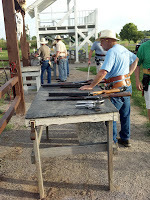 After I was armed, we go to the loading table to load the guns and get in line to shoot. 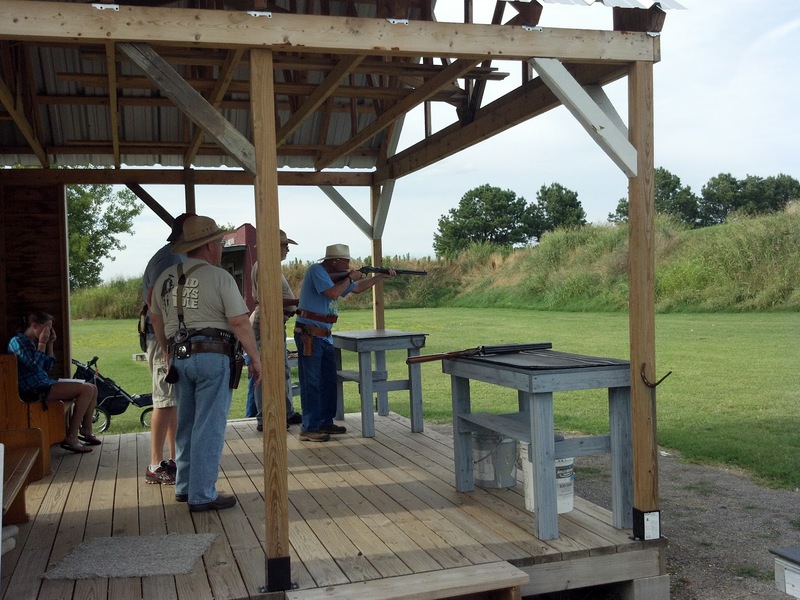 The only time you have loaded guns is between the loading table and the shooting stage. All loaded guns stay pointed down range and there is a safety man at the loading table to keep an eye on the man loading and double check that the pistols’s hammers are on empty chambers. I shot 3 stages that evening that each consisted of 5 shots from each pistol, 10 shots from the rifle and 4 shots from the shotgun. We won't talk about how I shot the first stage but on the second and third stages I missed 1 shot with the pistols and 1 with the rifle. Missed shots are a 5 second penalty so it is better to slow down and not miss. My time wasn’t great, but I didn’t really expect it to be. On a scale from 1 to 10, I sucked, but nobody laughed at me or told me not to come back. Being on the crutches really didn't affect my ability to shoot the stages although I did have to take a few steps with out them on the first 2 stages. My score for the evening was high (the lower, the better) compared to most of the other guys, but that wasn't why I was there. 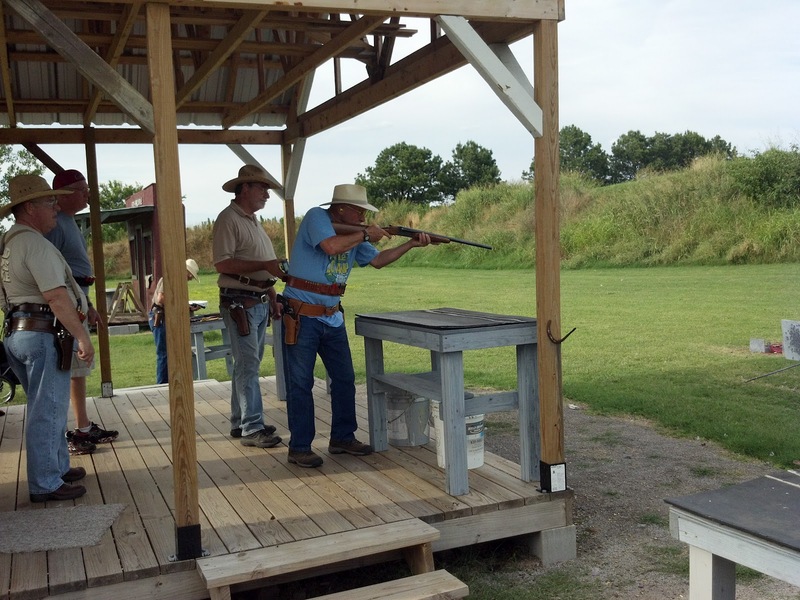 I went to have some fun, meet some new people and give Cowboy Action Shooting another try. I had a lot of fun and enjoyed meeting Judge Parker’s Marshal’s. All the gentlemen there were very friendly and supportive of my efforts with lots of peer pressure to join and shoot regularly. If you like Cowboy guns like I do and like to shoot fast, you might consider giving Cowboy Action Shooting a try. 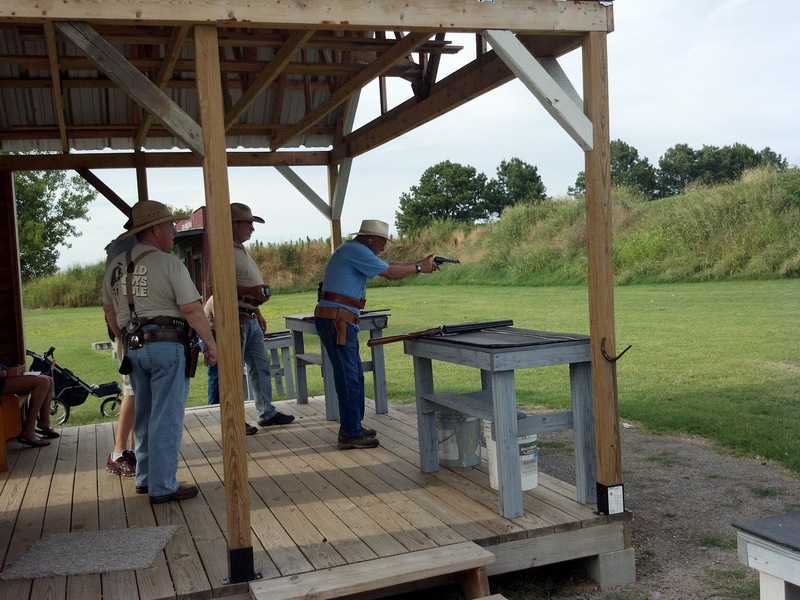 Click on the link to learn more about the Single Action Shooting Society. 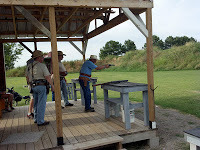 Special thanks to Naildriver for the use of his guns and providing the ammunition and thanks to the Old Fort Gun Club for allowing greenhorns to come out to the Marshal’s practice. Before you go, here are some more pictures of that night's match. You can follow and talk to Jason on Twitter @thejasonparks.